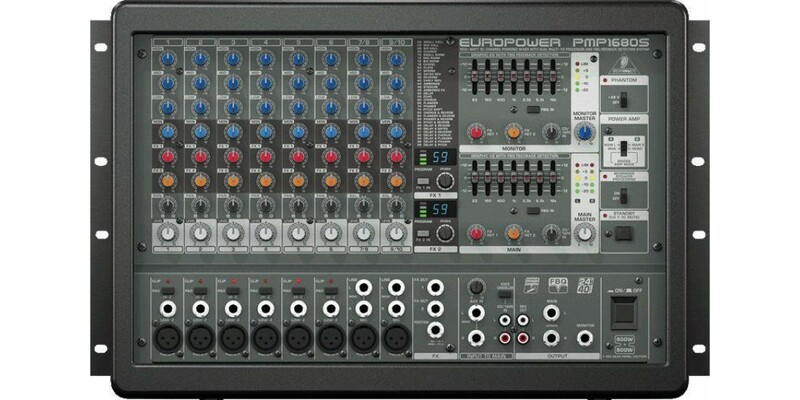 Enormously powerful audio mixer/amplifier with all the features you need and a price tag that makes everyone happy. 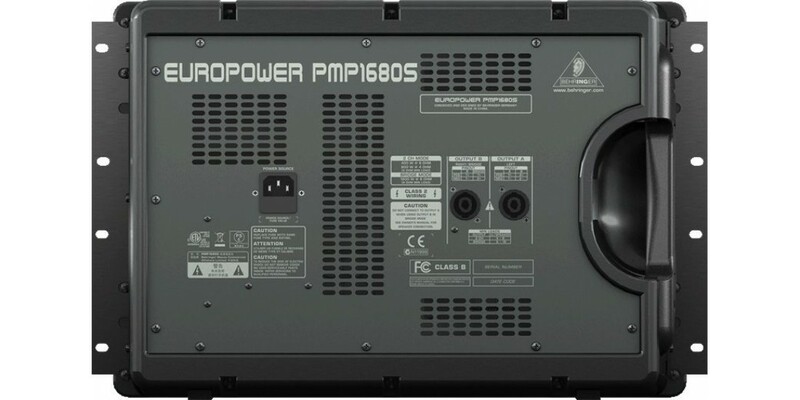 The PMP1680S is about getting the job done and getting it done right. 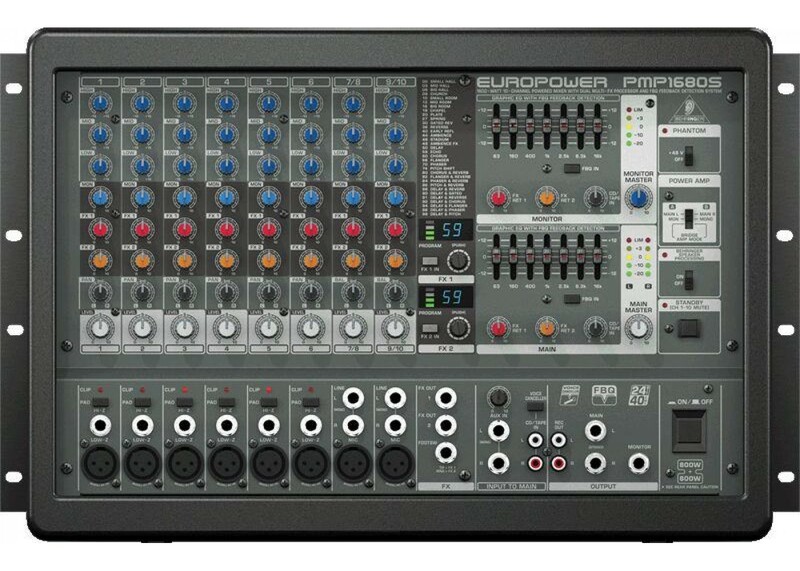 It has a 12 channel mixer section with separate cd/tape ins & outs, 2 high quality (studio grade) stereo effects processors, 8 high quality microphone preamps and plenty of power to make it all happen. 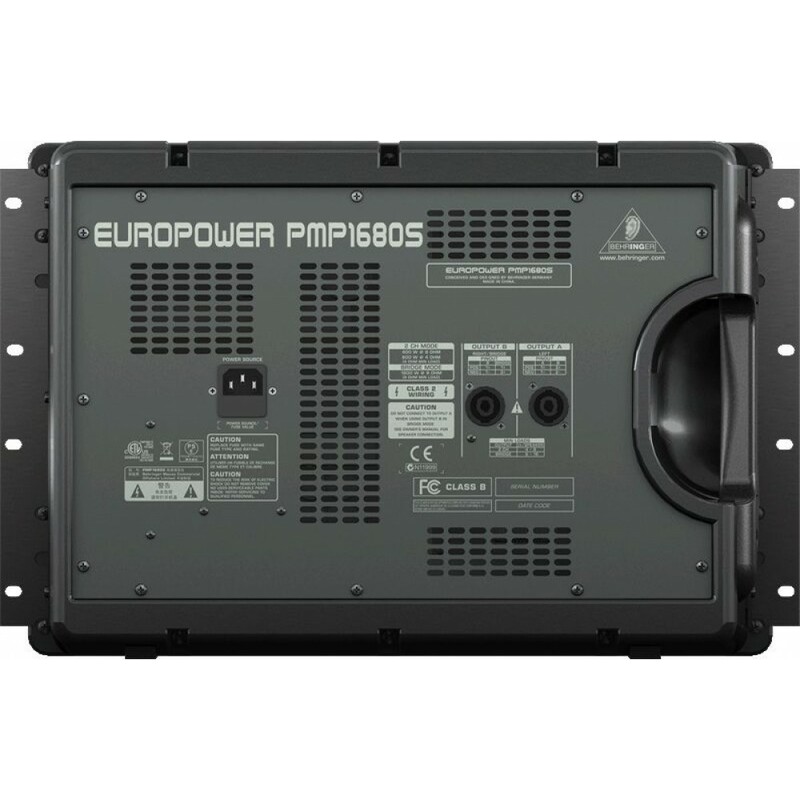 This is a very recent, lightweight design which is rackmountable for easy integration with your other live sound processing tools.